I have not posted any gleanings for a long time, because, sadly, the comments and questions have been very few, but at the moment, I have enough for two pages or so and will answer everybody next week. A few responses, including a private email, to my two most recent essays on dream made me think that I should first say something about people’s efforts to find a convincing etymology of this hard word, and this is what I’ll do today. As usual, I’ll dispense with most references, but will supply anyone who is interested in them with all the necessary information. The heroes of the dream series are Hamlet, Prospero, Walter W. Skeat, and Friedrich Kluge (he especially). Their images will be featured prominently in these pages. Before the discovery of regular sound correspondences between languages (and that happened only in the early nineteenth century thanks to the works of Rasmus Rask and Jacob Grimm), etymologists worked with attractive look-alikes. 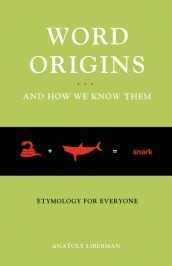 Even when they knew Old English, Old High German, and other Germanic languages, they believed that the words in those languages had come directly from some venerable extraneous source: Hebrew (which was allegedly spoken in Paradise), Classical Greek, or Latin, the port of last (linguistic) resort. Since chance coincidences are easy to find, diligent researchers always succeeded in discovering seemingly plausible etymons. Other than that, they acted like modern lexicographers; that is, they copied from one another, and the multiple repetition of the same idea produced an illusion of solidity. Hamlet, afraid of falling asleep. 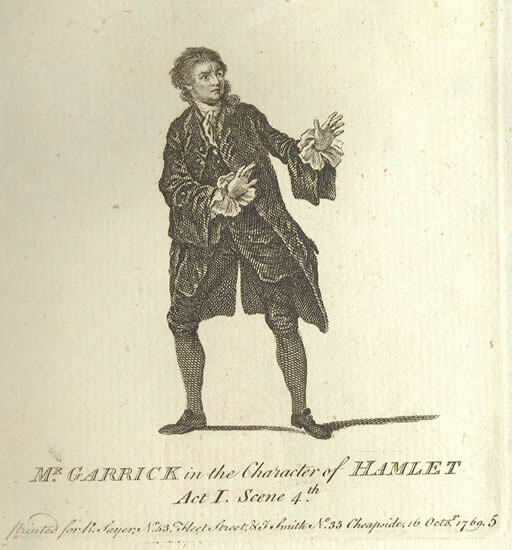 Image credit: Garrick as Hamlet. Public Domain via Wikimedia Commons. Seventeenth-century researchers considered two main hypotheses: dream was said to go back to either Hebrew radam (with reference to falling asleep) or Greek drâma (“dreams being, as plays are, a representation of something which does not really happen”; the Greek word means simply “deed”). The similarity between dream and Latin dormire “to sleep” could not be missed either, and later Greek drêmō “I run” joined the group of possible etymons. “Run” was forced to mean “to pass swiftly, as a nightly vision does.” In an oblique way, both words are familiar to English speakers: the root dorm– is present in dormant and dormitory, while the Greek root (with a different vowel by ablaut) turns up in –drome (hippodrome, velodrome, etc., including syndrome). A Celtic origin of dream was also sometimes considered. The eighteenth century marked no progress in the attempts to understand the origin of dream. (Let it be remembered that the old root of dream is draum-, retained by Old Norse draumr and Old High German traum; the Old English and the Old Saxon forms for “dream” were drēam and drōm respectively). Close to Latin dorm– is Slavic drem– (Russian dremat’ “to doze’; other Slavic forms are almost the same), and Noah Webster mentioned it in his 1828 dictionary. The fact that in Latin the vowel precedes r (-orm) while in Slavic it follows r (-rem) is no hindrance for connecting the two words: r and the contiguous vowel often play leapfrog (consider Engl. burn versus German brennen; the Gothic cognate of Engl. third is þriddja, in which þ = th, and so forth). This transposition of sounds is called metathesis. But the vowels in the Latin-Slavic root are incompatible with Germanic au in draum– and with ê in Greek drêmo (they cannot alternate by ablaut), so both impostors fade out of the picture, as behooves volatile dreams. Walter W. Skeat, torn between noise and bliss. 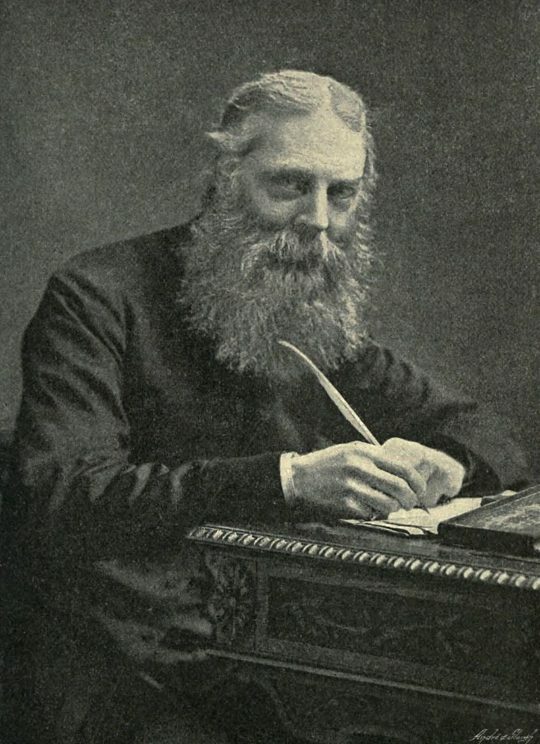 Image credit: Portrait of Walter William Skeat by Elliot & Fry. Public Domain via Wikimedia Commons. 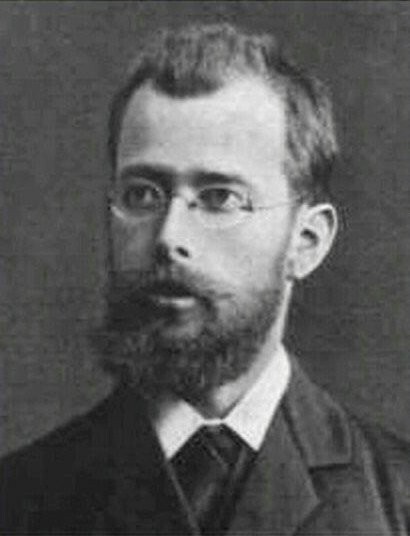 The “discourse” (sorry for the use of this overused word) changed radically, when in 1883, the great German philologist Friedrich Kluge suggested that there had been two unconnected nouns, pronounced as draum-: one for “noise” and one for “dream.” He followed his illustrious predecessor Hermann Grassmann, who set up several words in which Germanic au had, in his opinion, once had g in the root. Kluge cited a Greek cognate of draum– with old g after the vowel (see it at the end of last week’s post), which referred to noise and shrieking. Yet only one of Grassmann’s words, namely German Zaum “bridle, rein,” related to Engl. team, not certainly, but quite probably had g (assuming that team is a cognate of Latin dūcere “to pull”). Friedrich Kluge, refusing to see unity where it exists. Image credit: Friedrich Kluge, by unknown author. Public Domain via Wikimedia Commons. Some words for “deception” and “demon” have the root draug-, and Kluge assumed that nightly visions were called dreams because they deceived people. But here he erred: to our distant predecessors dreams were not phantoms or illusions. They were the substance of a real, even if parallel, world; they even prophesized future events. Assuming that the root of dream did once have g, the story began with “noisy existence at night” and “noise.” People probably took it for granted that screeching demons dominated dreams, and sometimes secondary (obvious!) connotations did not arise. Old High German traum and Old Icelandic draumr retained only that meaning (“dream”); the word, it appears, needed no comment. Old Saxon drōm reminds us that draum– could lose its initial reference and acquire the neutral sense “existence.” Elsewhere, we don’t find this sense. Old English emphasized only the idea of noise and expanded that field (drēam “merry noise; singing, music”)—indeed, not Mozart’s Eine kleine Nachtmusik, which many of us enjoy every day when we are put on hold. Be that as it may, etymologies come and go, while our questions and doubts remain, perhaps because “we are such stuff as dreams are made on, and our little life is rounded with a sleep. Prospero, vanishing like a dream. 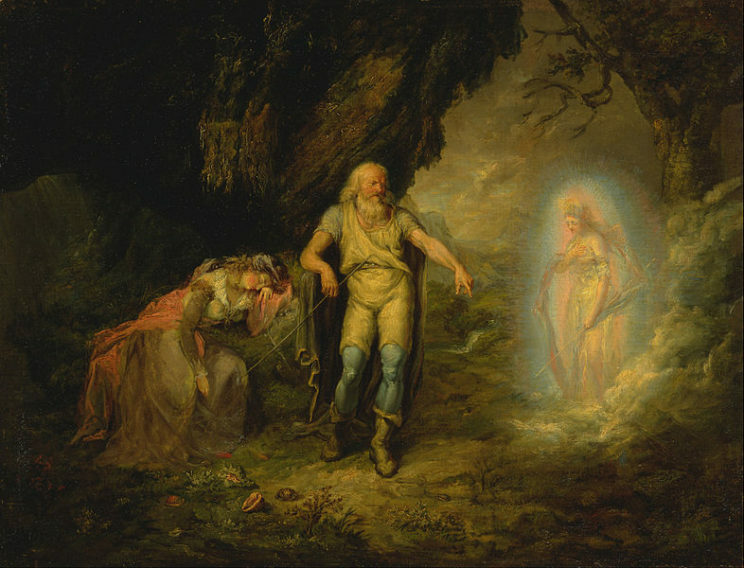 Image credit: Prospero, Miranda and Ariel, from “The Tempest” by unknown artist. Public Domain via Wikimedia Commons. Featured image credit: The Soldier’s Dream of Home by Currier & Ives, New York. Public Domain via Wikimedia Commons. The derivation of “dream” from Greek “drama” seems sensible to me. Both depict “life” beyond the “real”, as “living vision”. As also does the Greek “dromo”, in the sense of “life path”. But “dream” from “drum” (noise) seems a stretch to me. Perhaps so for “dreamers” of “screaching noises”. I am not one! My dreams are in technicolor and vivid as life. Having no knowledge whatsoever other than that gathered gratefully here, the idea of dream as noise seems unlikely to me as my dreams are very real in all senses and I cannot recall them majoring in noises, pleasant or otherwise. In waking life I am unable to “see” imagined or remembered images yet in my dream life all is real and fully present, hence my awareness of the differences. I do realise that an untutored opinion is of no value, yet the day life and night life proposal is one which appeals far more than the droning/dreadful noises. Thank you for your gleanings, they are much appreciated. What about trauma? Is that related, the same root in German? Perhaps this is irrelevant but Clarence has an outstanding, shocking dream-speech (IV ii) & has a derivation been found for Dog? It`s perhaps not relevant but JL Borges essay in “Labyrinths” is one of the best biogs of WS. biogs I`ve ever read. Two pages and including an explanation of “suspension of disbelief”. “he played the part of an actor who on a stage plays a part before an audience who play at taking him for that other person. As a half-Russian, my fathe explained that Bistro came from the Russian soldiers in Paris, 1814, calling out “Bistra, bistra!” in resraurants. Clearly Greek. It literally means “wound”. With later meanings derived from that. Likely, the Greek “travma” derives from the Greek “travo”, to “pull apart”.